Since our inception, our goal has been to produce speakers utilizing the state-of-the-art speaker drivers coupled with precision crossover designs to insure their superior performance. A great speaker should not only move you sonically, it should also move you visually. Our standard finishes are just what you would expect in high-end furniture. And if it is a custom finish you are dreaming about, we place no limits on your creativity. We'll turn your vision into reality with the utmost in care and craftsmanship. Each of our speakers is custom built for a specific customer. In that regard, each pair of our speakers is unique in some fashion. And to the extent you wish to be involved, as we build them, you can follow the process step-by-step. We are your personal speaker builder. There are no dealers or middlemen involved in the process. 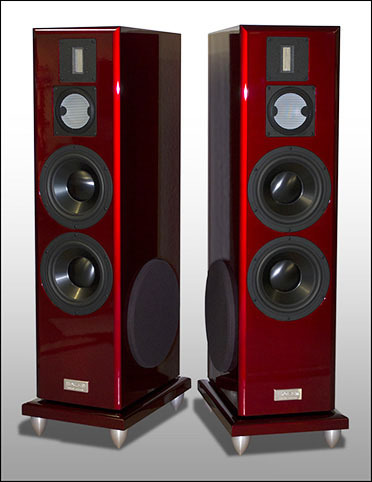 So you save the typical dealer markup and pay about 1/2 of the cost of a similar performing retail speaker. How can you beat that? With so many options available, it can be a bit intimidating. But don't worry. We'll work with you hand-in-hand to help you select the perfect speakers for your application. Again, since we do not limit your imagination, the options can be a bit overwhelming. But with a few simple questions, we'll be able to point you in the right direction. If it is a custom finish, we'll help you find just the look you are after. Once we're on the same page, we begin the building process. You can follow your speaker's progress on line in real time. And before you know it, you'll be listening to some of the finest speakers in the world!